One of the most valuable things on this planet, to me, is leaving your mark, affecting others, effecting change – making a difference, somehow, someway, to someone. 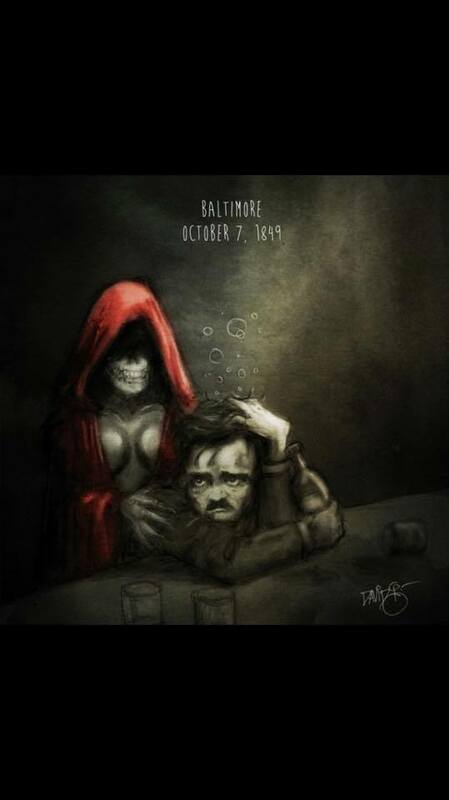 Edgar Allan Poe affected all of our lives by those he inspired. He inspired artists, musicians, authors, and others. Poe wrote one of the first published detective stories, The Murders in the Rue Morgue. Inspired by the character Dupin, Arthur Conan Doyle created Sherlock Holmes. Sherlock Holmes studied, differentiated, analyzed evidence to solve crimes. Prior to Holmes, the study of evidence at crime scenes was elementary, limited. The science of forensics was inspired by Sherlock Holmes stories. Forensics, as we know it today, was developed over a long time, inspired by writers who were inspired by others, inspired by Edgar Allan Poe and his ability to focus in on details that others glossed over. Poe left a very big mark on our society.